Traveling during the holidays we find everywhere we go, big cities or small towns, buildings, homes, cafes and shops are lavishly decorated in holiday style. 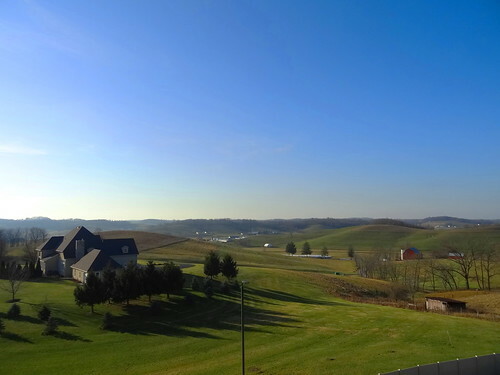 This year we begin our adventure in Holmes County Ohio, home to a large Amish settlement spread out among quaint little villages with names like Berlin, Walnut Creek, Charm and Sugar Creek; Ohio has the largest Amish population in the world. 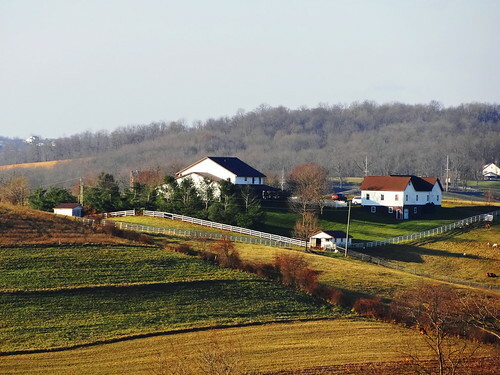 A drive on scenic backroads dotted with Amish homes, farms and picturesque scenery is the perfect way to wind down after the excitement of Christmas. We land in Berlin, have a late lunch at Boyd and Wurthum then head over to the Berlin Village Antique Mall, this place is huge. 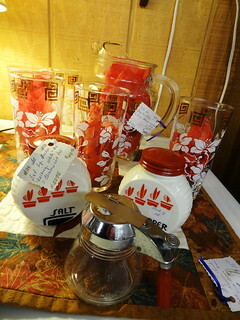 Here we find a large array of kitchen items from cookie jars, salt and pepper shakers and glasses to canning jars in blue, red and gold. 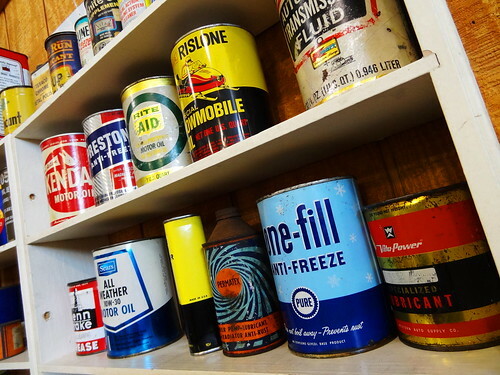 A tall cabinet holds old automotive items; oil cans, license plates and vendor signs. 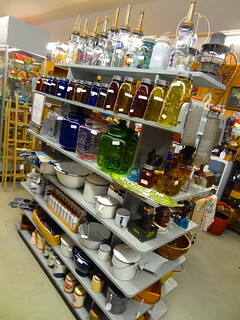 Shelves are filled with beautiful colored glass and figurines; if you need a lamp they have dozens to choose from. The antique window frames are attractive, retro-fitted with metal designs they’d look right at home in my garden. Vintage board games by Ideal look familiar. We come across a few old television sets, how did we ever get by watching TV on such a small screen? 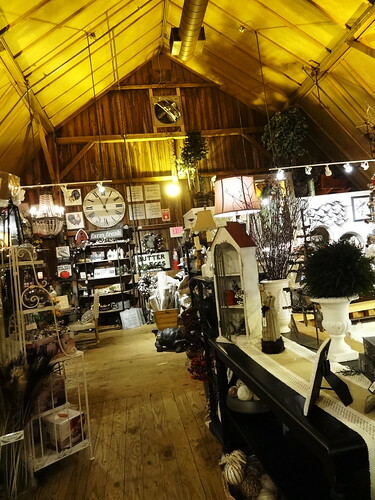 Next door we pop into the Berlin Village Gift Barn, it’s a giant, fancy barn filled with lovely things to decorate your home or cottage. 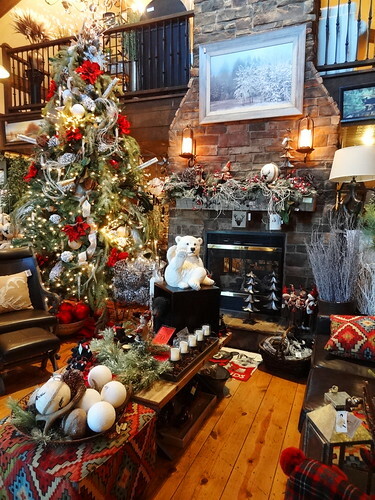 In addition to shelves of merchandise, areas are set up like rooms, my favorite was the cozy living room complete with brick fireplace, knotty pine floors, comfy couches and plenty of pillows–gorgeous. There’s an abundance of accessories like clocks, wine racks, stoppers and serving pieces. 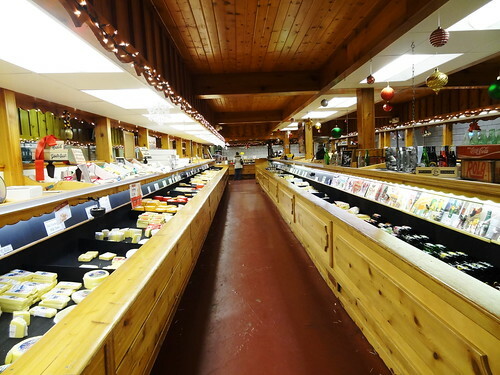 We stop in at Heini’s Cheese Chalet, it’s almost closing time, so we have to move quickly. 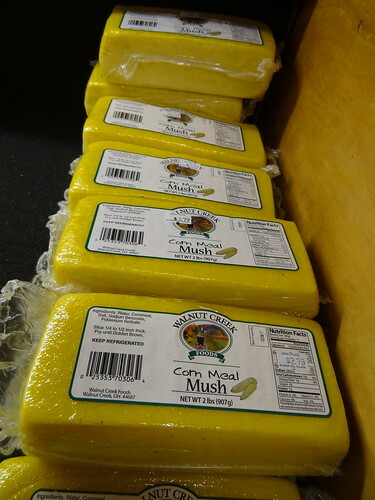 If you like cheese, this is the place to be; rows of refrigerated cases offer you a world of varieties from Asiago, Swiss, Mozzarella, Gorgonzola, Colby, Marble–well, you get the idea. 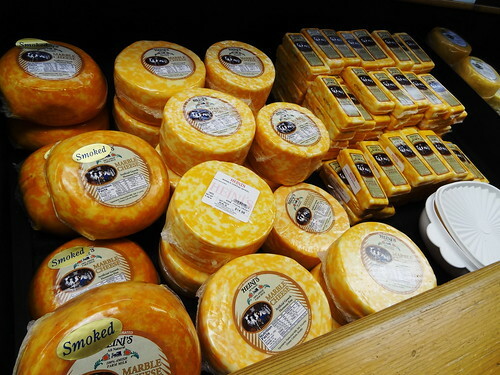 You can choose from smoked or traditional, the best part? You can try ’em all! We go east out of Berlin to Walnut Creek, we’re staying at the Wallhouse Hotel; 6 stories of upscale, modern elegance smack-dab in the middle of farm country. 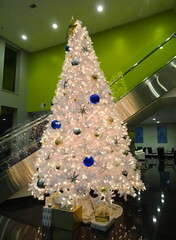 As we step foot in the lobby the towering white Christmas tree steals my attention, behind it a lime green wall, how about the sparkly black floor, it that granite? 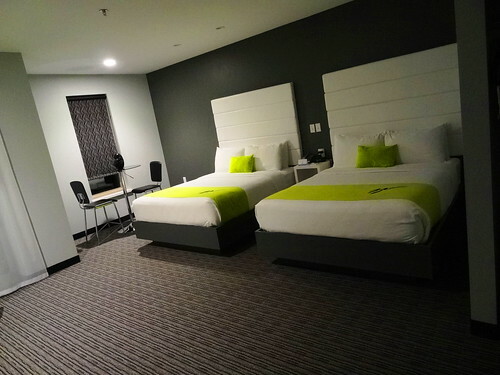 Checked in we take the elevator to our room, very attractive in shades of gray and a touch of lime green; we’ll sleep in luxury tonight on our pillow-top mattress. There’s a kitchenette and seating area, we even have a private balcony. 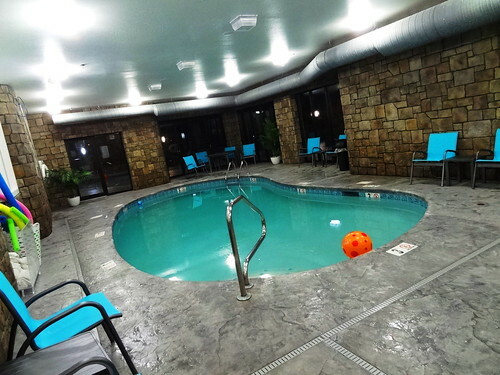 As we head out for dinner we check out the rest of the place; there’s an indoor saltwater pool on the lower level. 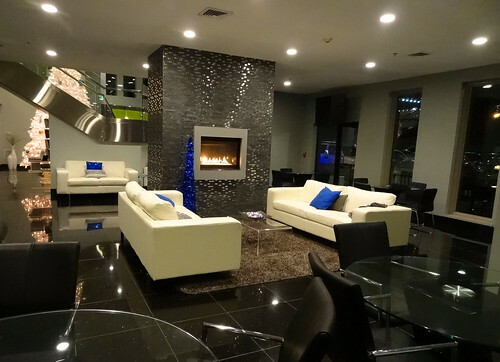 On the opposite side of the lobby we find a seating area surrounding a fireplace, bright blue sequined pillows rest on white leather couches; the dining room is dark and still, pots of coffee and fresh-baked cookies are waiting for guests. 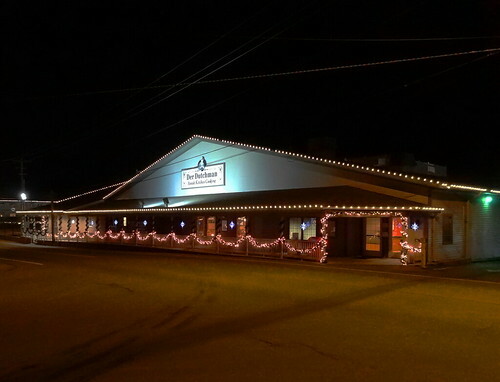 It’s a short drive to Der Durchman where we are having an authentic Amish dinner. 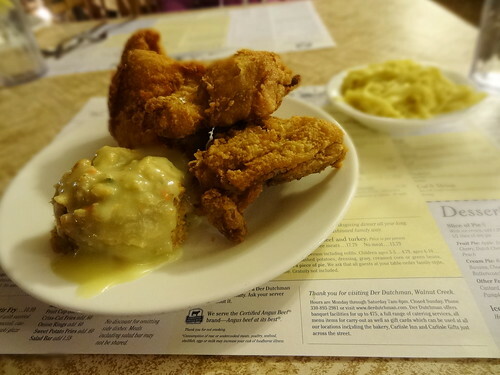 On any given day you will find both locals and out-of-town visitors dining on platters of chicken, ham and roast beef along with fresh vegetables, homemade side dishes and hot biscuits. 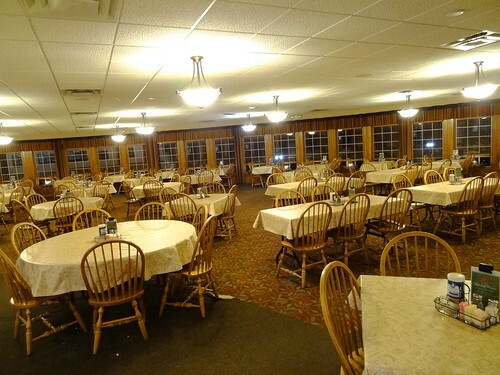 A wall of windows curves around the vast dining room, from this hilltop location they say there’s a 5-mile panoramic view of Goose Bottom Valley and the surrounding farmsteads, unfortunately for us night has fallen and all we see is darkness. Our dinner is delicious; juicy broasted chicken, homemade egg noodles and stuffing with gravy. When we’ve finished we head back to the room for some rest and relaxation. In the morning we dine on farm-fresh eggs, crisp bacon, biscuits and gravy and fruit; they put out quite a spread here in the hotel. Out the window the sun shines in a powder blue sky, we watch cows head out to pasture, what a serene way to start the day. After check out Kris takes us on a leisurely tour of the area, everywhere I look is picture post-card perfect. The terrain a patchwork of gentle rolling hills; houses reside on hilltops, farms sprout out of valleys, fields have been turned over, they will lay dormant until spring. The grass is still green, cows and horses amble through fenced in fields eating as they go. Majestic horses pull Amish buggies, passengers are bundled in blankets, I love the clip-clop sound of the horses. 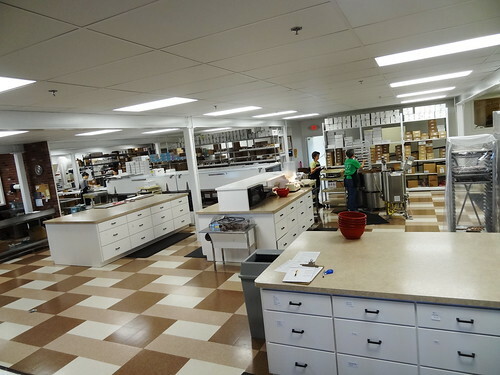 Walnut Creek has a tiny business district we’re going to explore, Coblenz Chocolate Company is family owned and operated; caramel is their specialty. 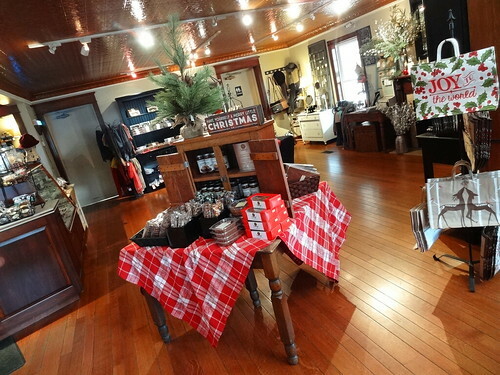 The shop is beautiful inside; tin ceiling, dark woods, Christmas trees and garlands. Tables hold stacks of boxed candy already wearing ribbons and bows. What’s your pleasure? Swiss-style truffles, Milk, dark, nuts, caramel, it’s a chocolate lovers paradise. You can even watch it being made! I’m getting some dark chocolate caramels to take home. 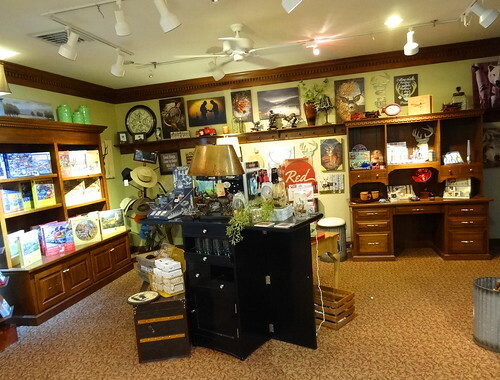 We browse through tiny shops ending up at a lovely Victorian store known as Carlisle Gifts. A grand curving staircase connects the first and second floor, huge chandeliers hang from the open ceiling. 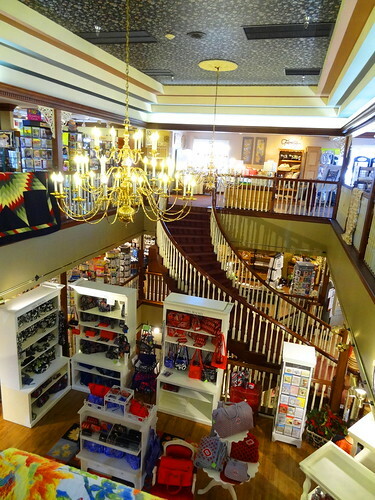 The store is divided into sections by the type of item, for example clothing is in one area, candles another, they offer quilts, greeting cards, purses by Vera Bradley, Annaleece Jewelry, Republic of Tea, bringing a little bit of city to the country. 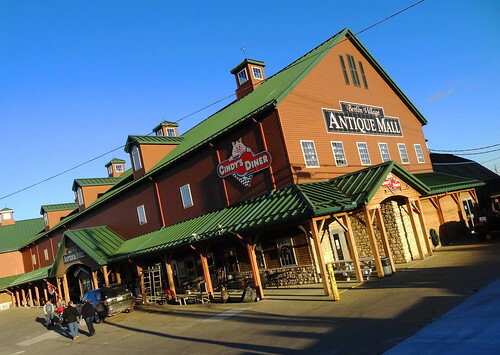 There’s nothing quite like the gentleness of Amish country; the blend of agriculture, cheese making and hardwood furniture. Everything here is done the old-fashioned way, by hand and in time. Visiting is a nice reminder for us to slow down and enjoy the simple things.